There’s just so much to consider. Pay rates, benefits, bonuses…and that’s only the financial end. On top of that, there are your professional goals to consider too. Is it the right setting, the right area of focus, does it meet your work requirements and more. Just as confusing, when you talk to your friends or ask questions on nursing blogs, you get everyone jumping in with opinions on who pays best, who pays the least, who offers decent benefits, and on and on. And rarely do those opinions agree with each other. Relax. We want to give you easy-to-follow steps to help make sure you can accurately evaluate the offer, so you can make a decision that is right for you. Before you get started, take the time to know what you’re looking for! There are a lot of great reasons to be a per diem nurse, and it’s important that you understand which of those reasons are important to you. Are you looking to earn a little extra money by picking up the occasional shift, or do you plan to make per diem assignments a long-term work option? Do you want experience in a specific setting or specialty? Do you crave flexibility? Or is it all about the money? We get that your choice to work per diem rarely comes down to a single reason, but take the time upfront to decide what those reasons are and how important each one is to you. If you clearly understand and stay focused on your goals, it’s much easier to evaluate the specifics of the job opportunity itself and make a decision that’s right for you. Another reason why it’s so hard to compare per diem offers is that every offer is unique unto itself. Different job opportunities come with different strengths and weaknesses, and the healthcare staffing agency you’re working with has a lot to do with the specifics of the offer. So, a large part of evaluating the offer comes down to also evaluating the agency. The first question to ask yourself is are you comfortable with the agency and your recruiter. Do you trust them? Do you have a good relationship that you‘re comfortable with? Finding the right agency to work with, and just as importantly, a recruiter who takes the time to get to know you and has your best interests at heart, can be worth their weight in gold. Next, do they work with a wide variety of hospitals and healthcare facilities in the area? Ideally, you want to work with an agency who has strong connections throughout the community, after all, the more clients they work with the more options you have. Finally, do they offer the pay rate, benefits, bonuses and perks you want. It’s rare you’ll find an agency that offers everything, but you want to make sure their overall compensation packages meet your basic needs. Remember step one, it’s all about you. It’s like eating at a restaurant. You and your friend can work your way through the same buffet line, but you can each have a very different opinion about the place depending on what you want and the choices you made. Last but not least, look for the little extras that might make a big difference between offers. From a financial standpoint, two areas worth asking about are an agency’s referral program and their reward and recognition program. Each can offer an excellent opportunity to earn extra money or qualify for gifts. Since these programs provide payouts above and beyond your compensation package, they truly do represent an extra perk to you. 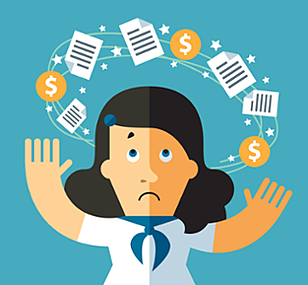 At the end of the day, evaluating your per diem job offer comes down to a combination of facts and feelings. To get the most out of an assignment, you need to consider all elements of the offer. You want the right job, at the right facility with the right compensation plan. Yes, compromise is a reality, but the more a job offer speaks to all of your wants and needs, the happier you’ll be with the assignment. Look for great opportunities today!